Monroeville Real Estate: Another great review... the kind of feedback that makes you smile. Another great review... the kind of feedback that makes you smile. 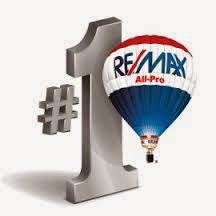 I'm always striving to provide my clients the best service and experience possible... let's face it... buying and selling a home is complicated and emotional. It's hard to please everyone, and even when you work hard, sometimes things go wrong. I'm not shy about giving my clients a realistic view of the complexities of a real estate transaction... I ask them all to let me know how they feel their experience was... this is the kind of review I dream of... and a reward for the effort... Thank you, Dave... it was my pleasure serving you both! "I cannot say enough about how much Lauren helped us out. I have worked with many real estate agents in the past, and I have never had one that even came close to Lauren. Despite that fact that she was juggling several clients, she still managed to make us feel like she was our own personal real estate agent. She was available for phone calls until late at night, and we would have emails from her waiting in our inbox first thing in the morning. We were unable to attend a viewing for a house we really liked, so Lauren offered to video tape a walk through for us. She even kept in touch after closing to make sure that we were satisfied with the new house and to see if we were having any problems. This was hands-down the best home buying experience I've ever had and I can attribute that 100% to Lauren's help. I would recommend her to anyone and I would definitely use her in the future."